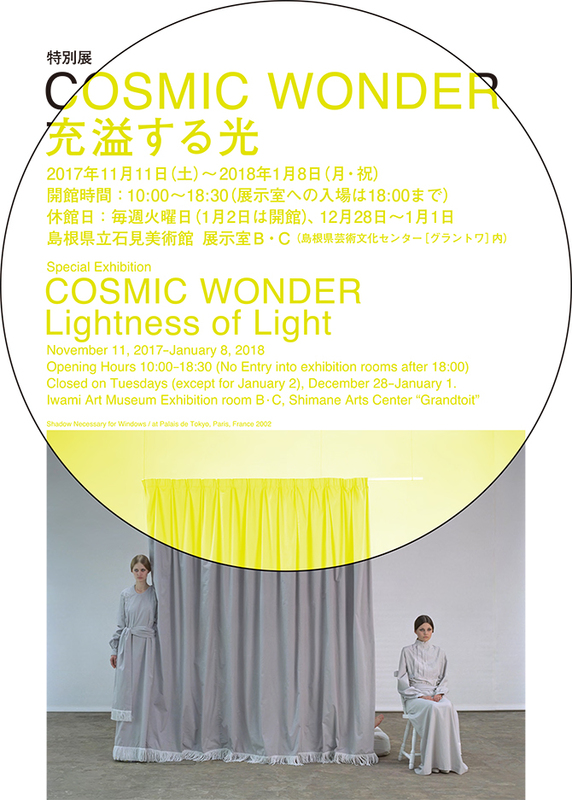 We were pleasure to hold the 20th anniversary Special Exhibition COSMIC WONDER “Lightness of Light” at Iwami Art Museum. COSMIC WONDER was initiated in 1997 as a conceptual project comprising diverse modes of expression from of clothing, artwork, and publishing to performance. This retrospective exhibition held to commemorate COSMIC WONDER’s 20th anniversary, introduces representative works from their collections presented in Paris from 2000 to 2009, along with valuable materials including photographic documents and look books. Closed: Tuesdays (except for January 2) , December 28 − January 1. As a guest speaker we welcome editor and writer Nakako Hayashi who has been involved in the editing of Shiseido’s corporate culture magazine Hanatsubaki, and is recognized for her 2011 publication Kakucho suru Fashion (Expanding Fashion) and the exhibition that originated from it. Hayashi will be in conversation with Yukinori Maeda, founder of COSMIC WONDER, to reflect on the history and development of the project through the years, as well as the prospects it envisions for the future.